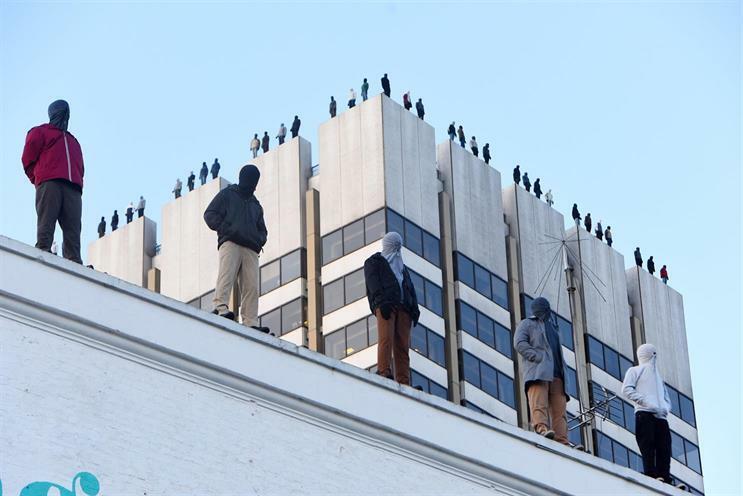 Jeremy Lee is touched by the statues installed on the roof of the ITV building by the Campaign Against Living Miserably to draw attention to the number of men committing suicide. What a chilling statistic that 84 men take their lives every week. And what a breathtakingly powerful way to raise awareness of this terrible issue so that more can be done to stop it. The work was a partnership between CALM and ITV and the campaign was created by Adam & Eve/DDB.